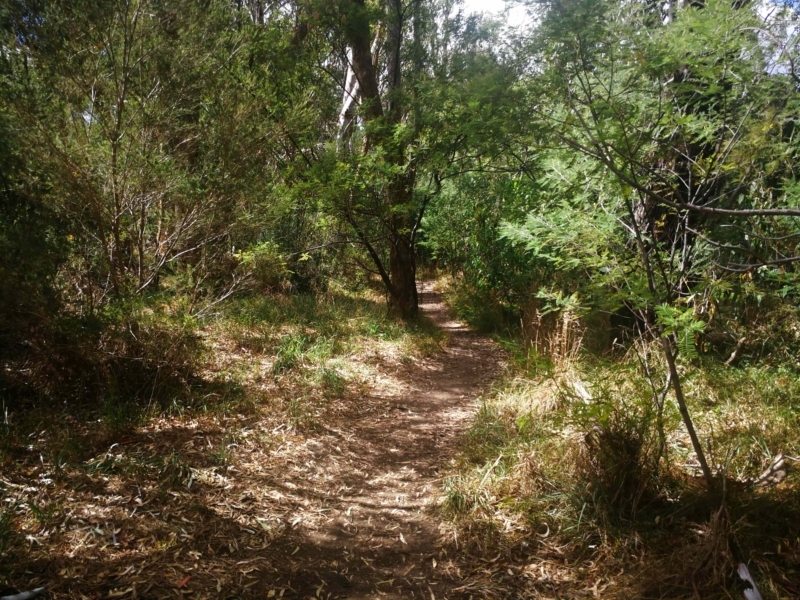 Take a break from fast-paced city life in one of inner Melbourne's best bushland reserves. 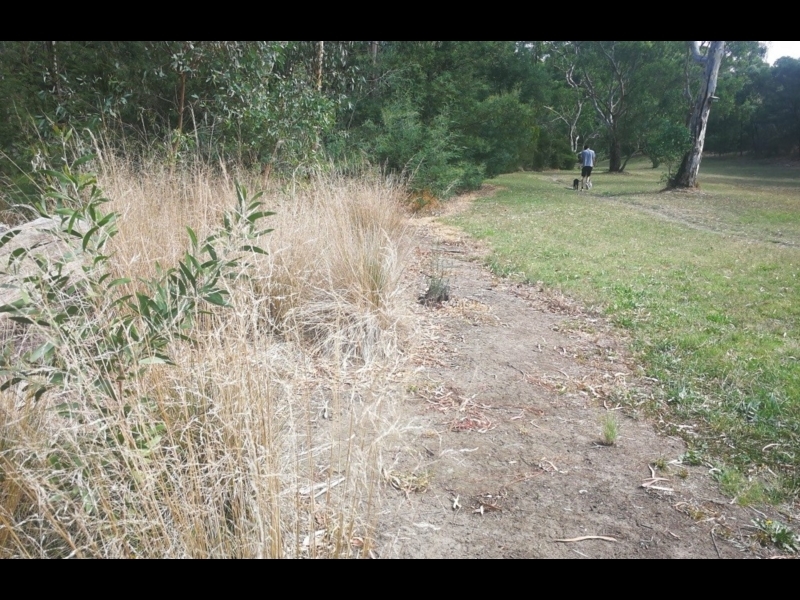 Kilometres of walking track, creek rambles native plantings. This loop walk presumes you are entering from the west side (Separation Street). 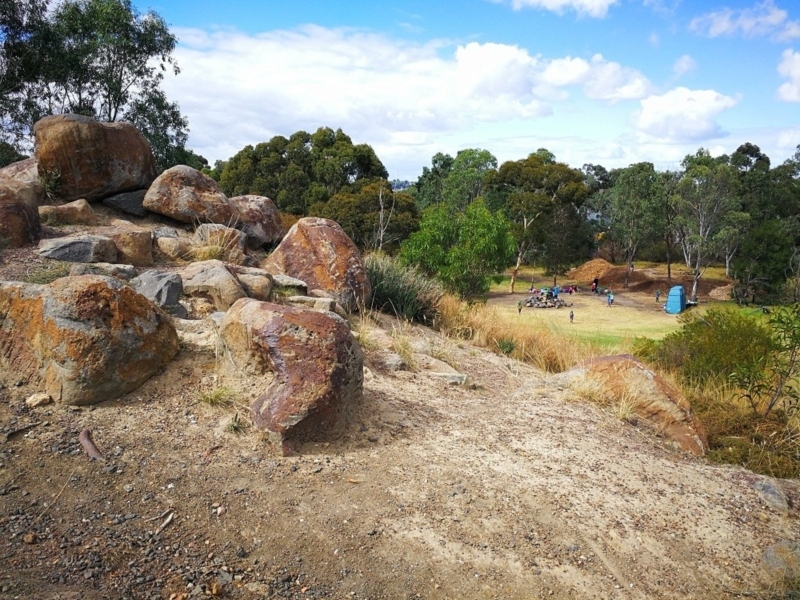 If you are coming from the east side, please see the map called Sparks Reserve to Darebin Parklands, which is also better if you want to arrive by train. 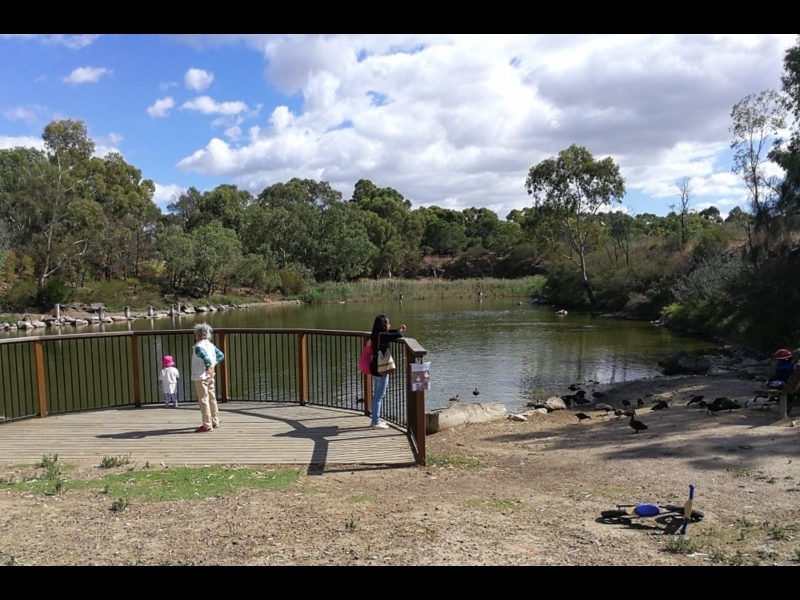 Once a tip site and neglected horse paddock, the beautiful and tranquil 33-hectare reserve you're about to discover is a testament to the local residents who started the Darebin Parklands Association in the 1970s. As the DPA's website notes, the reserve is today home to echidnas, flying foxes, native fish, 70 species of birds, and even the occasional kangaroo. There are hopes that with future revegetation and creek management works, the platypus may return to live and breed in Darebin Creek. The DPA runs many community events including park care days and a Junior Ranger Club for children under 16. For more information, click on the 'More Info' link above. 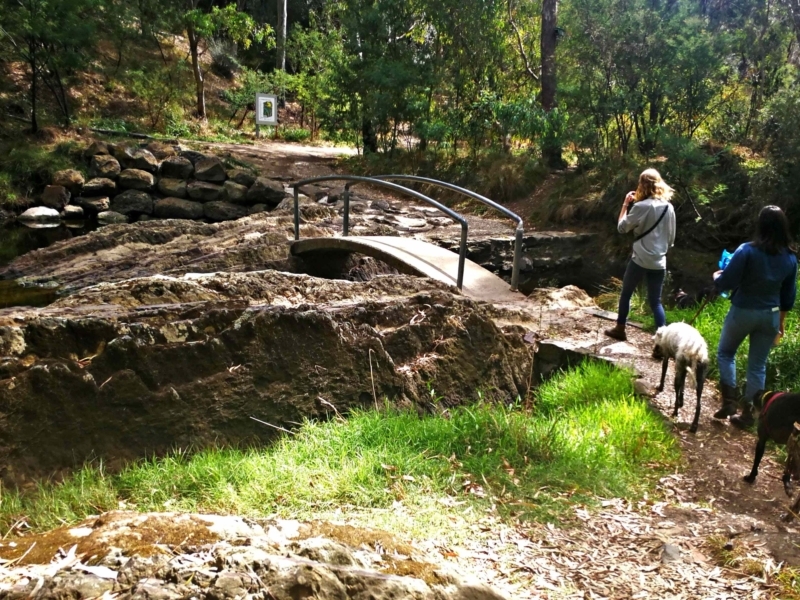 A plea to dog owners: Please respect the DPA and Darebin Creek Management Committee's vision for the park and their request that dogs only be allowed off-lead in the designated area. A sign when we visited in March 2018 noted dogs had been responsible for the deaths of several birds, and there are also fears dogs could upset turtles breeding in the creek. Restrictions also serve to protect dogs from snakes which can be found elsewhere in the park, particularly in warmer months. The off-leash area is at the northern end of the park. Dogs must be on lead until they reach this are. There's a few entries to the Parklands but this is a good place to start as it has access to Public Transport (bus along Separation St), and toilets plus some good, large maps on display. 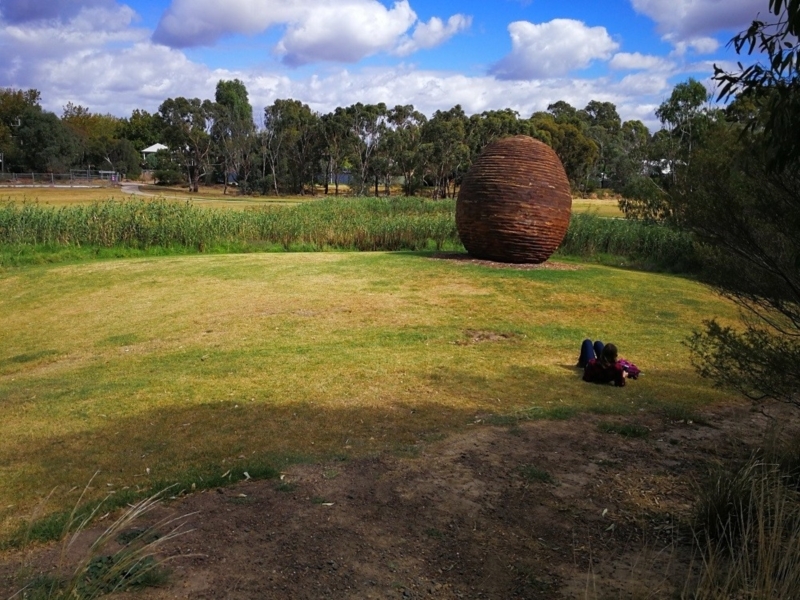 The Nest, by David Bell and Gary Tippett, made from recycled timber. The symbolic egg form at the heart of the design echoes the hope for recovery and new life, and for the rebirth of the land. 3. Mount Puffalo, constructed from dirt left from Domain Tunnel! 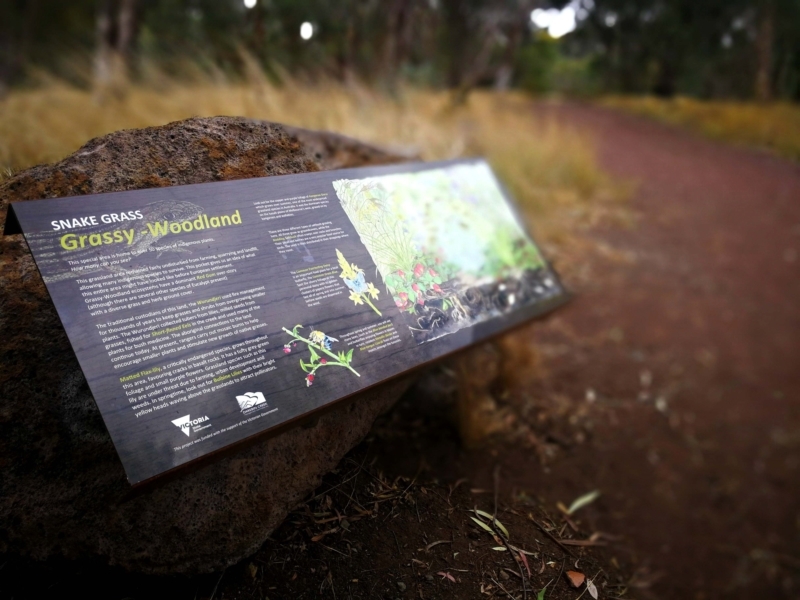 This is a great spot to get your bearings and to appreciate the scope of the parklands. You may spot some bush kinder activities. 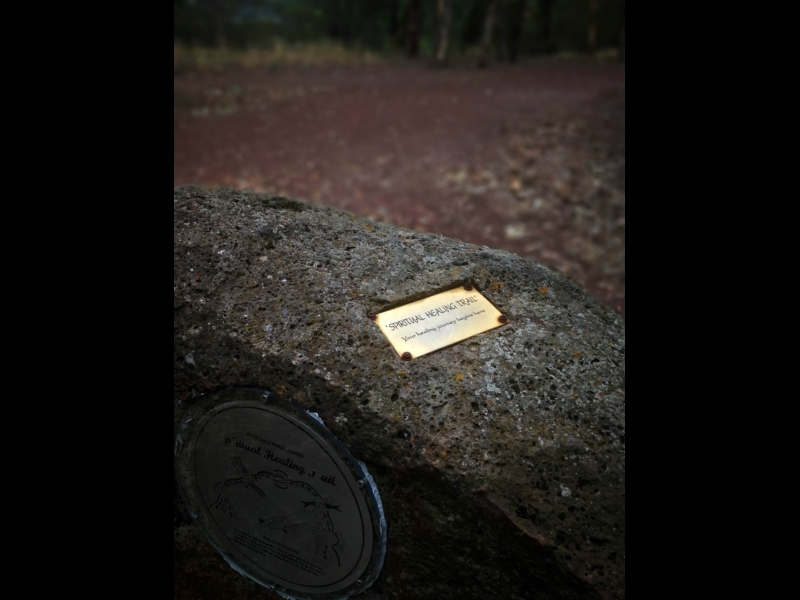 This is also part of the Spiritual Healing Trail (begins point #15). 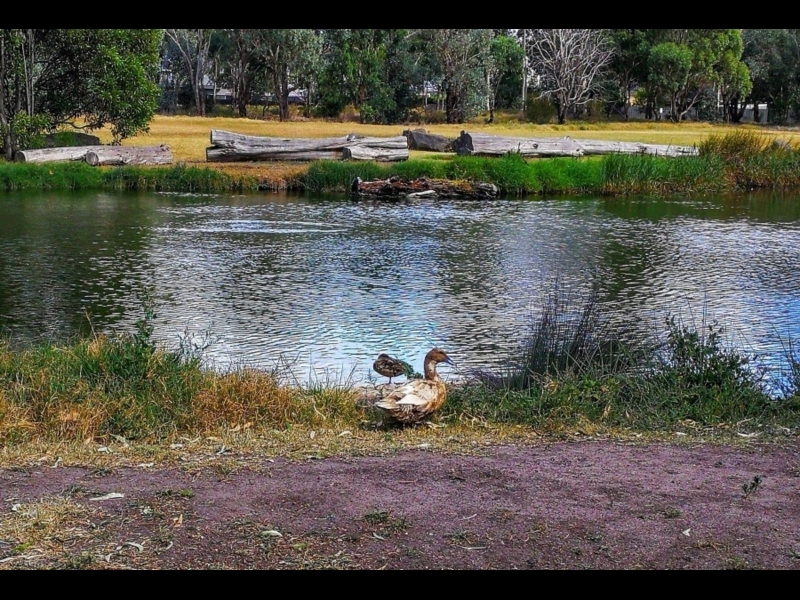 Darebin Parklands is home to about 70 species of birds. You'll spot some of them here! 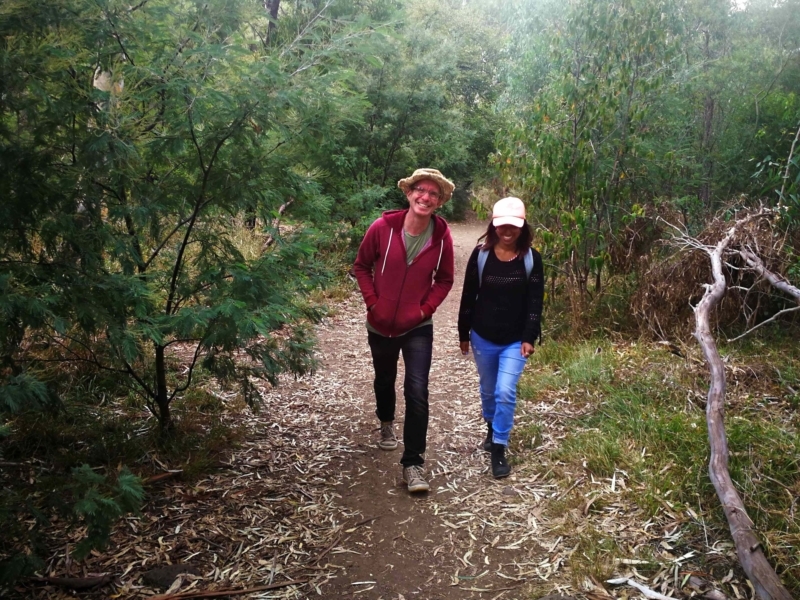 Find out more about flora and fauna along Darebin Creek with the link. A great spot for bird-watching and for picnicking. 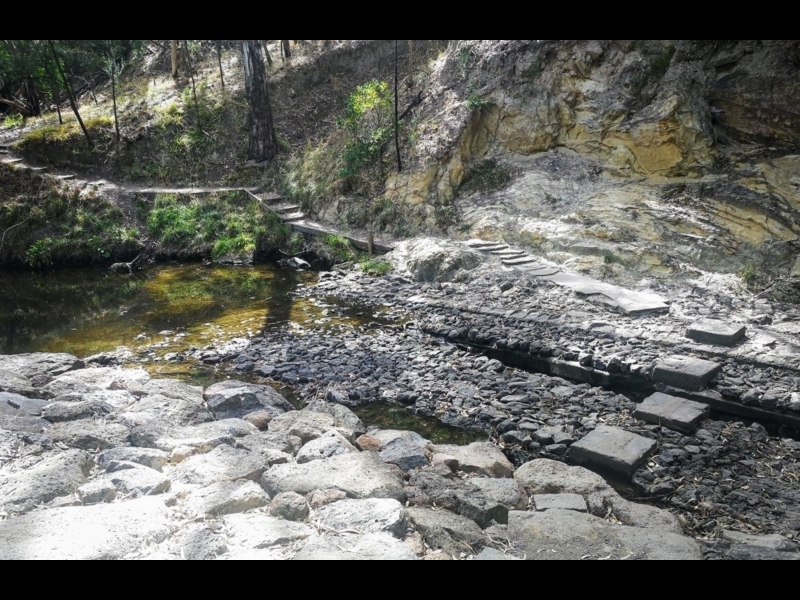 The stepping stones are not easy to find with the official Darebin Parklands maps. So here's a handy photo to reassure you. As you head south along main shared path, take a left here. These crossing stones were placed here in the 1980s by the Metropolitan Board of Works. Power for sewerage pipelines lies beneath this part of the creek. There are some great native plantings along the creek here as you head between the stepping stones and the Sidney Clifton Bridge. Dogs MUST be on-leash in this area. Before crossing back over the creek, check out this wagon track, established in the mid 1800s. Pine trees were planted along the route to guide wagon drivers to the then creek crossing. The Sidney Clifton Bridge (1978) was built in large by volunteers. Beware as it can be submerged after heavy rainfall. Dogs must be on-leash in this area. Established by landscape architect Ellis Stones in the early 1970s, this is a lovely, rambling avenue. You may spot a Tawny Frogmouth and other bird species here. 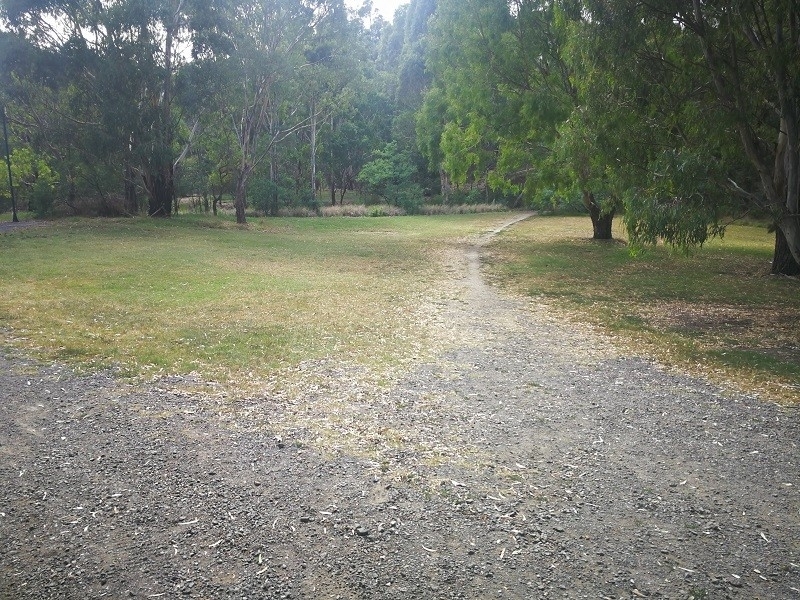 This is a nice area of the parklands to walk. The areas up from the creek here were once the site of market gardens. It is suggested you give yourself time to really explore the five stops along this trail. 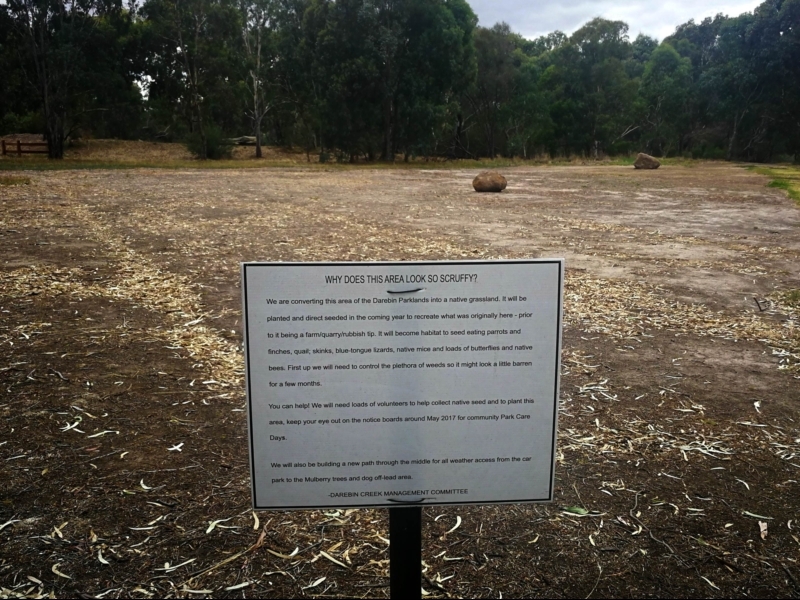 It was conceived by the Darebin Aboriginal Reconciliation Working Party and is indeed a beautiful gift. A lovely spot to stop, close eyes and to listen. This area, not far from what was once a grove of Mulberry trees, is to be revegetated as a native grassland area. 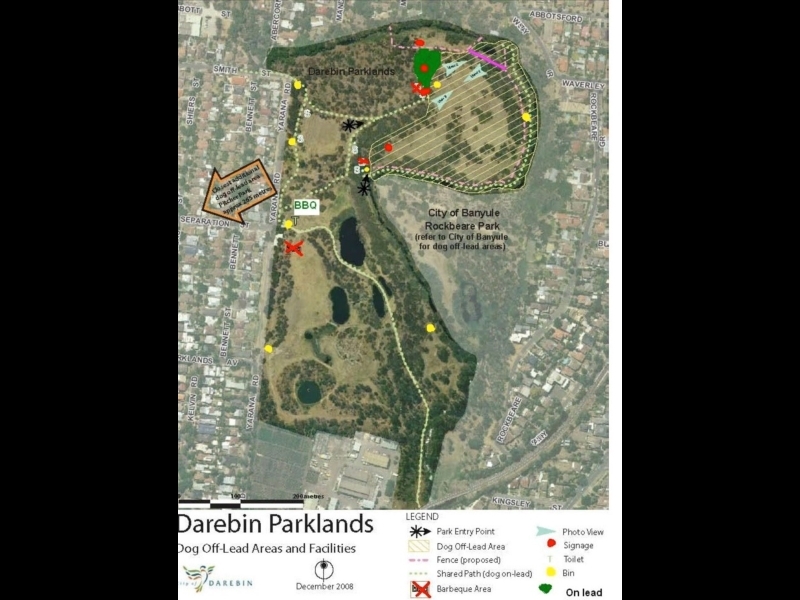 A good reason to revisit Darebin Parklands later in 2018 and beyond! 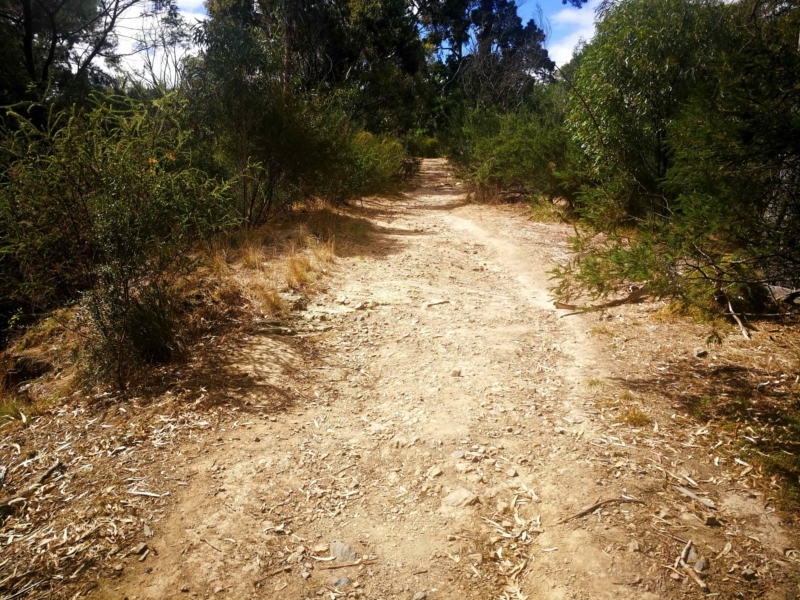 Dog walkers should take note that snakes are often spotted at Darebin parklands. Keep your dogs on lead and when in off-leash areas try to keep your dogs out of the long grass (see link). 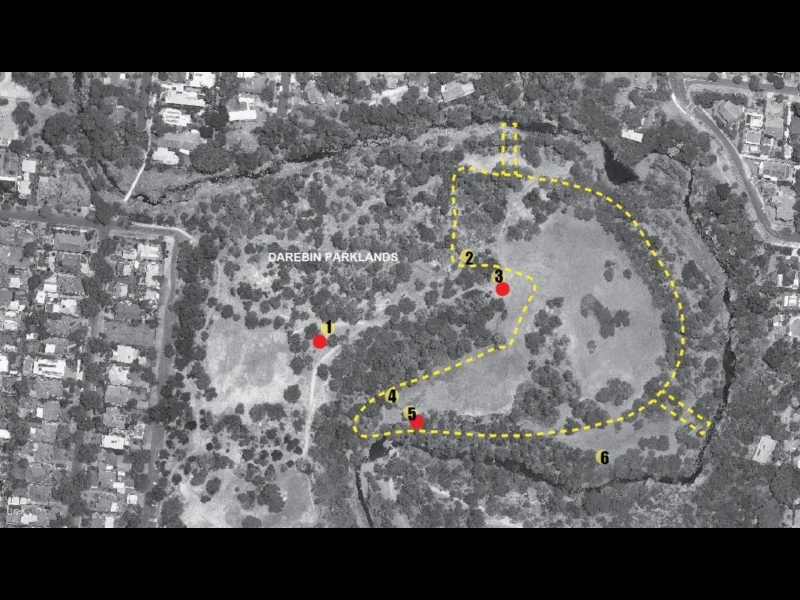 This is now the only off-leash area for dog owners as park managers attempt to protect native wildlife. 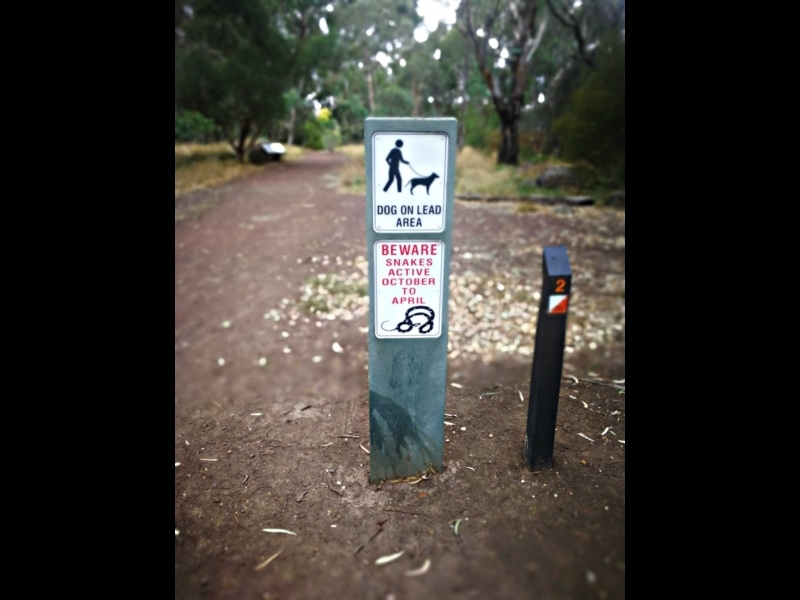 For more dog-friendly parks in Darebin see 'More Info' and hit 'Park List' for off-leash parks. 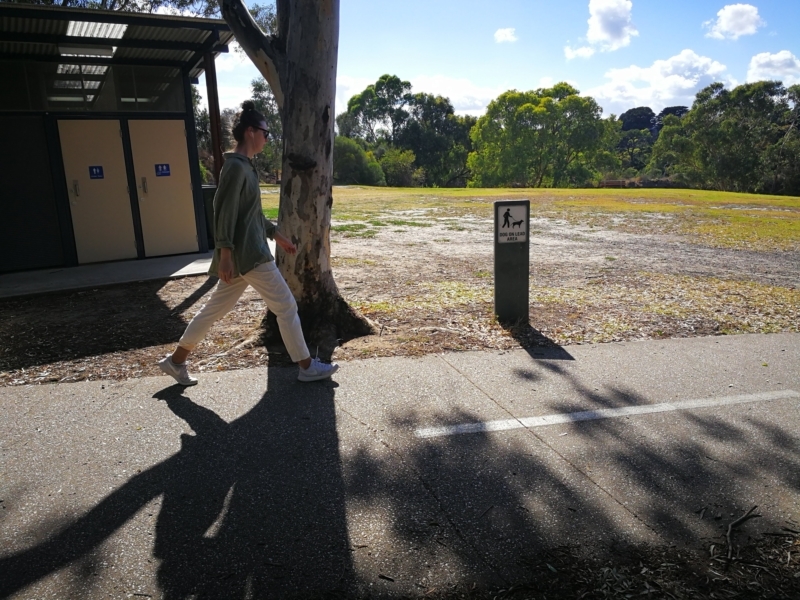 This is the designated off-leash area as specific by Darebin council and park managers as at June 2018.